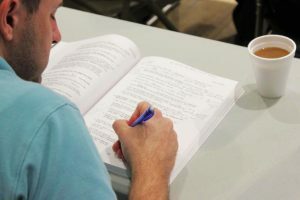 Students will study chronologically through the ENTIRE BIBLE and systematically through every major doctrine. Yet, basic classes meet only 1 evening each week. 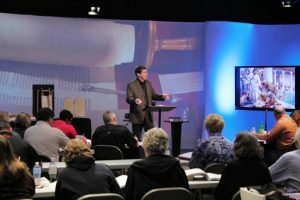 FBI combines solid Bible teaching with an interactive DVD Video format utilizing student workbooks, charts, 3D maps and images to produce a unique and engaging learning experience. This program is a three-year course divided into six semesters of 17-18 weeks each. New students are accepted at the beginning of any semester! Maranatha Baptist Church is a satellite location of Faith Bible Institute.